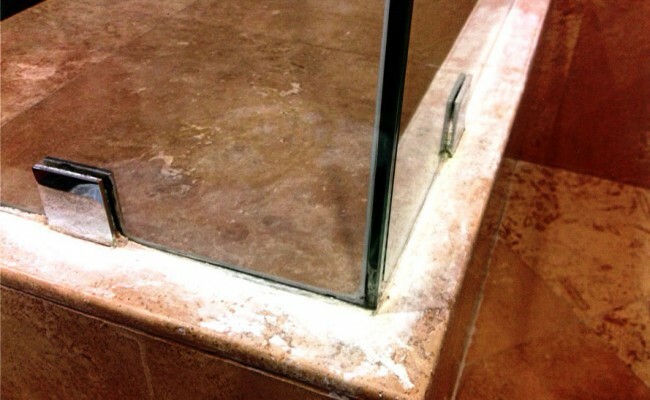 This travertine shower was never caulked properly when the glass was installed. The results, as you can see here, is that hard water constantly leaked through and left heavy alkaline deposits. 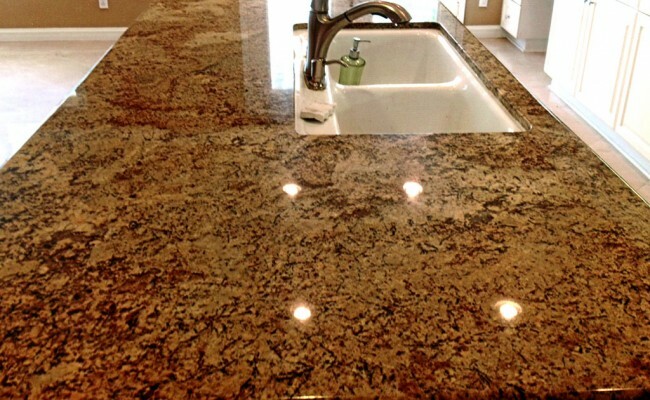 Although acid-based products can remove alkaline deposits, they should not be used on honed or polished stone because the acid can etch the smooth, shiny surface and make it dull. These results were achieved without acidic chemicals. 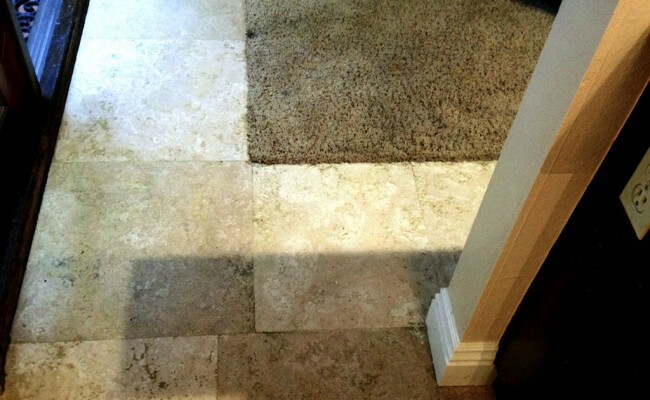 If you have a travertine shower that is in need of cleaning and sealing and you live in Huntington Beach or anywhere in Orange County please call us at for immediate assistance. This planter box was placed on this brick patio only four months prior! The results of over-watering and a crazy soil mix are obvious. 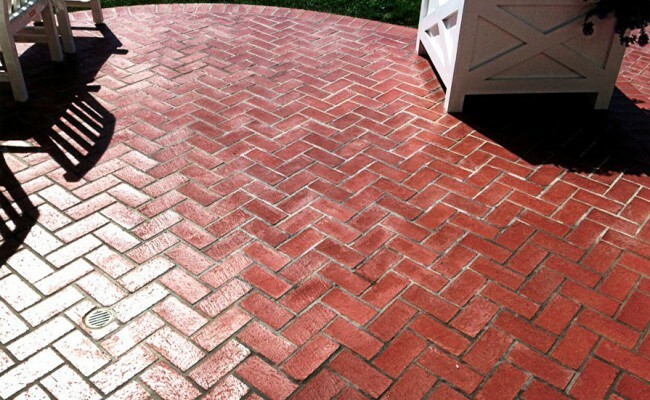 Following a great deal of detail cleaning and the application of an enhancer sealer, we now see a completely restored brick patio. 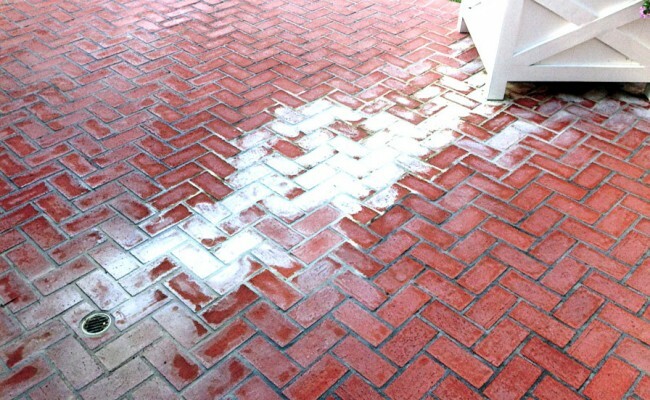 If you have a brick patio that is in need of cleaning and sealing and you live in Newport Beach or anywhere in Orange County please call us at for immediate assistance. 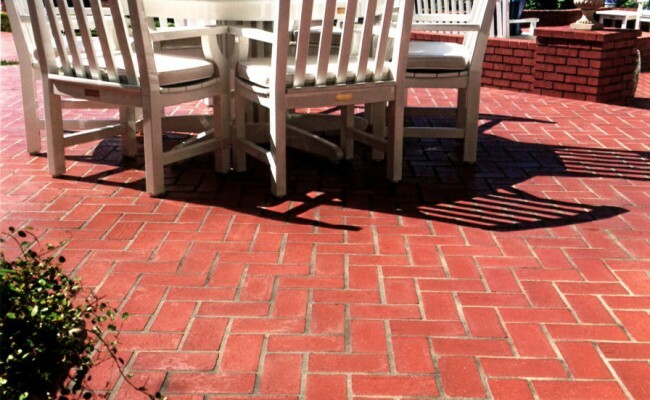 For this job we went to Corona del Mar and found that this Brick Hardscape needed the acrylic sealer removed. 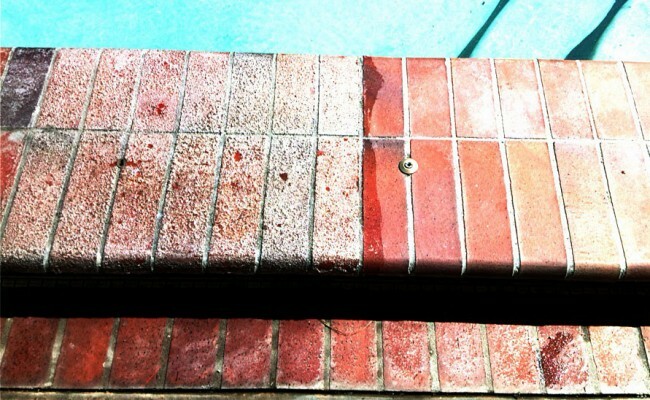 Although many “professionals” say otherwise, we do NOT recommend using acrylic sealer(s) on most brick hardscape. The results, as pictured here, are often very negative! Depending on the surface, the sealer can tend to blister and turn opaque. As we strip away the layers, out comes the natural color of and variations of the brick! 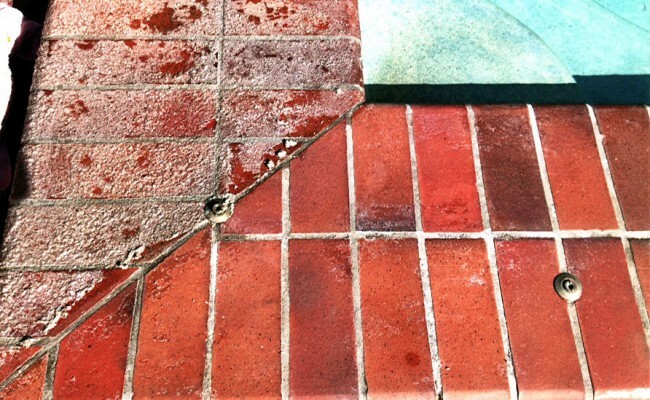 The application of multiple stripping agents helps lift the sealer off the brick’s surface. If you have a brick hardscape that is in need of cleaning and you live in Corona del Mar or anywhere in Orange County please call us at for immediate assistance. This Mexican paver patio needed a great deal of restoration work! 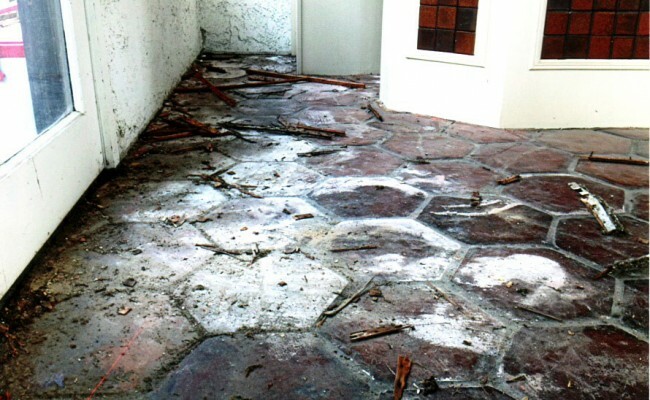 The entire patio had been neglected for many years. 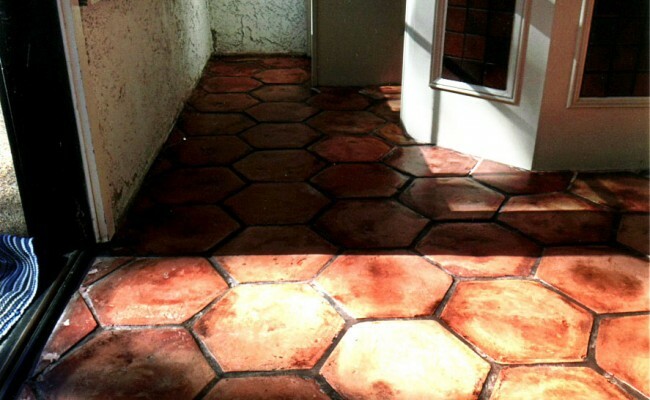 In additions, the previous owner had applied a brown stain which took away the color variation and character of the tiles. Now the distinctive colors are prevalent, and the entire room has a totally different vibe! The white alkaline deposits pictured here are coming from two sources: one of them is sprinklers which were allowed to over-water and left constant puddles. 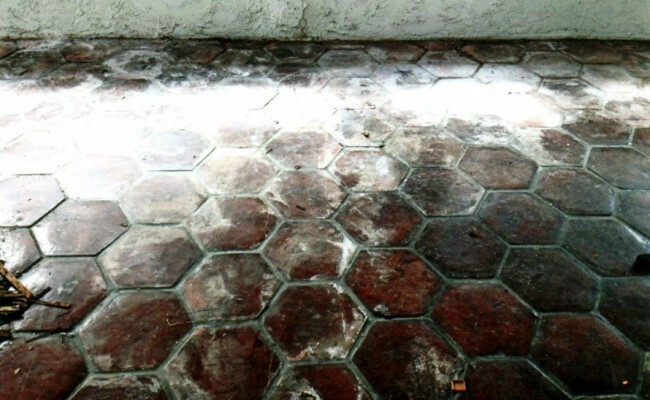 The other is “efflorescence” which occurs when salts and minerals leach through the tiles from the ground underneath. 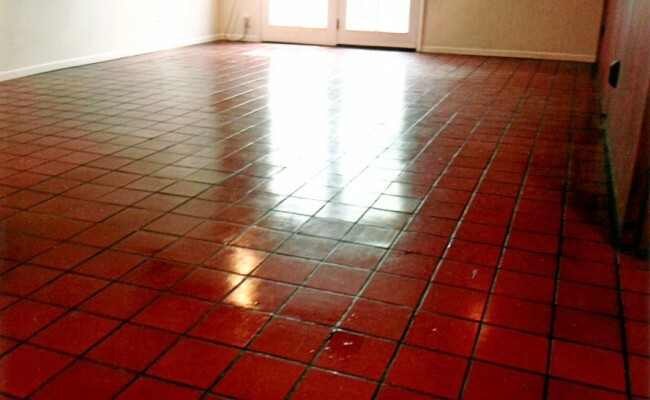 Now you can see all alkaline residue removed and the natural beauty of the floor comes out! 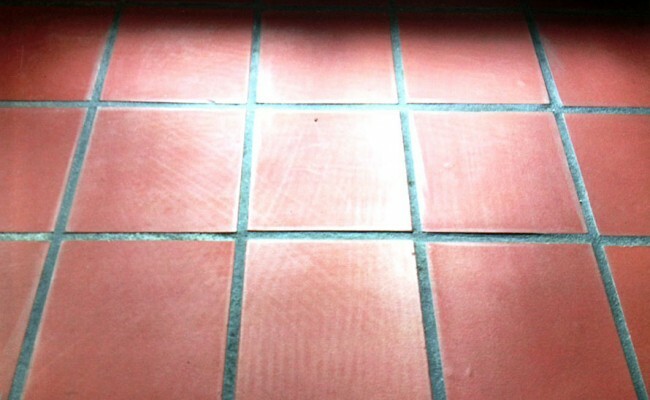 Mexican paver tiles are very soft, very porous and can unfortunately have varied results after restoration. We are experts with these tiles which require a great deal of patience and diligence! 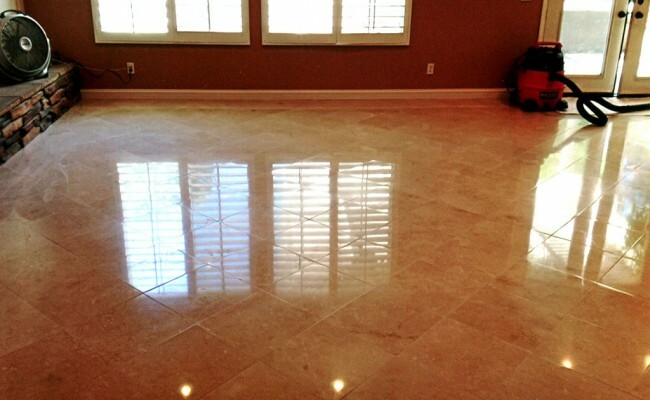 We cleaned this Quarry Tile livingroom in Costa Mesa, California and if you have quarry tile we can clean yours too! *54 years and never cleaned once! This photo shows a quarry tile living room floor which NEVER should have been coated with any acrylic sealer, much less multiple layers. 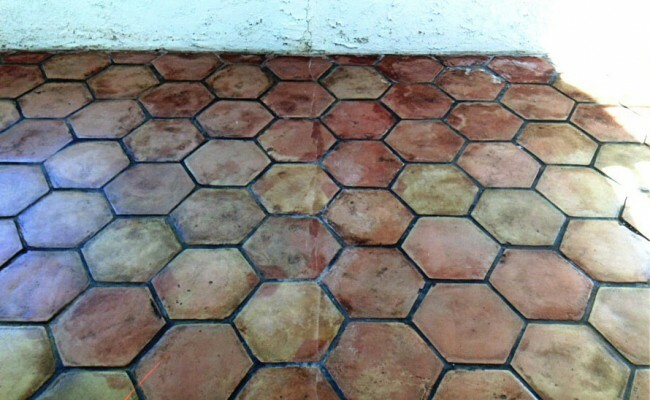 The grout lines are so embedded with grime, the recoated with sealer, that many have become level with the tiles! 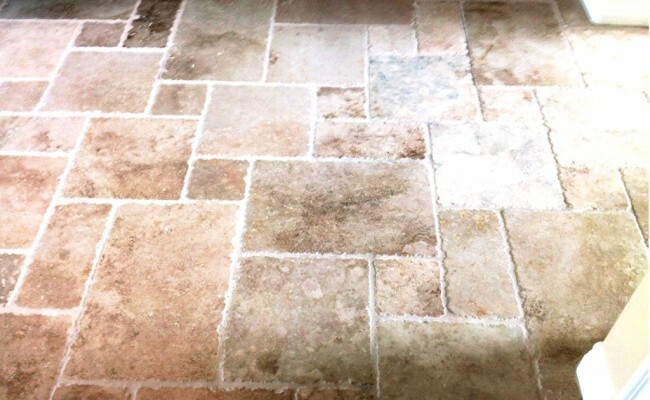 Now you see a very clean and PROPERLY sealed quarry tile floor. This job is an example of small square footage but many, many hours of labor to get it right. 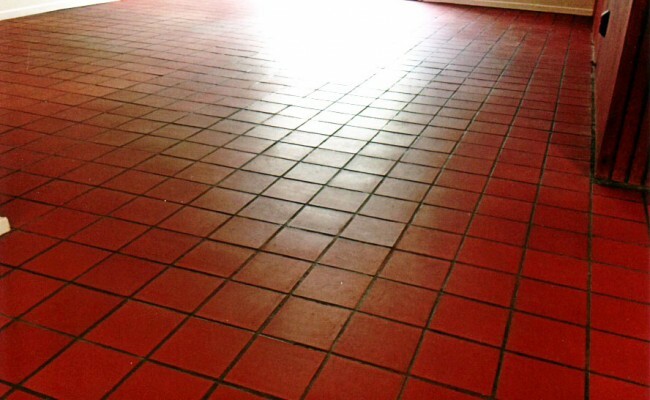 Quarry tile is often used in commercial kitchens and restaurants because of its durability. 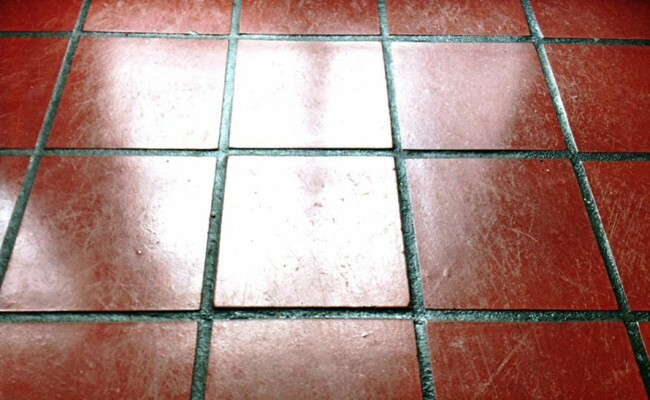 The grout can be sealed, but the tiles should not. 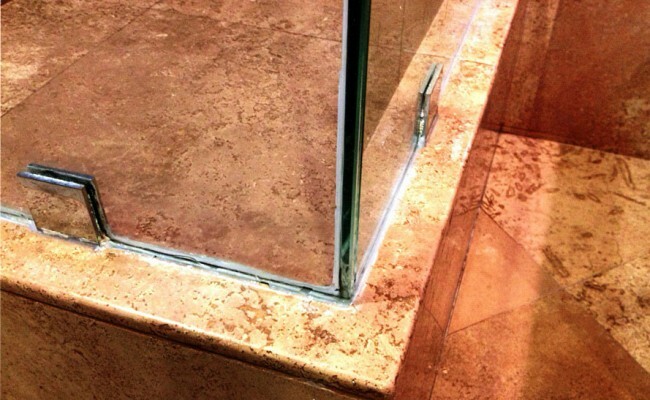 This acrylic sealer now brings attention to every scratch and imperfection. Once again, a clean floor brought back to its original matte finish. Routine maintenance can give this floor another 54 years! 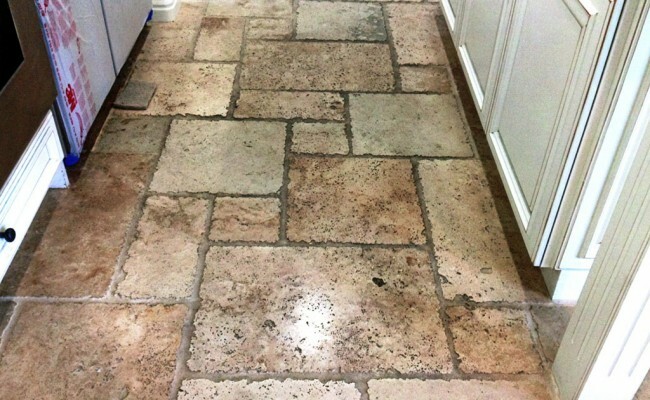 If you have a quarry tile floor that is in need of cleaning and you live in Costa Mesa or anywhere in Orange County please call us at for immediate assistance. This Irvine home has a combination of Slate and Flagstone that make up a patio, the front driveway and hardscape in the back yard. This home has more than 2,000 square feet of random slate and flagstone in front and back. As you can see, it has become colorless, while constant sprinkler run off leaves alkaline deposits. Following our process of stripping, detail cleaning and pH neutral rinsing we applied a premium enhancer sealer throughout. Please note the stone now has great color, but with a matte (non-glossy) finish. This sealer has great durability in exterior applications. The second set of before and after shows the work done on cleaning and sealing the flagstone and slate walkway and steps. 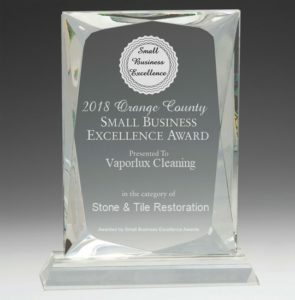 If you have a flagstone and slate that is in need of cleaning and sealing and you live in Irvine or anywhere in Orange County please call us at for immediate assistance. The ultimate test! 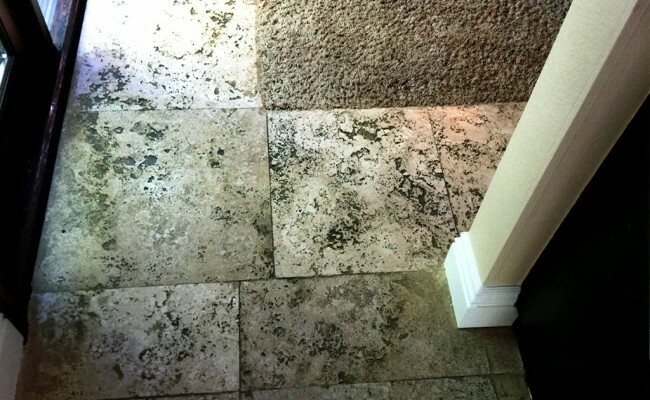 The left side of the photo is travertine that has been covered by an area rug for 9 years, basically vigin stone. 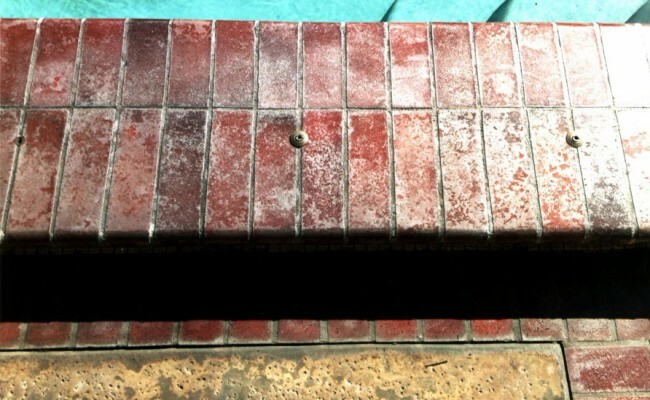 The right side shows 9 years of regular use by many kids and grandkids on their way to the adjacent pool. 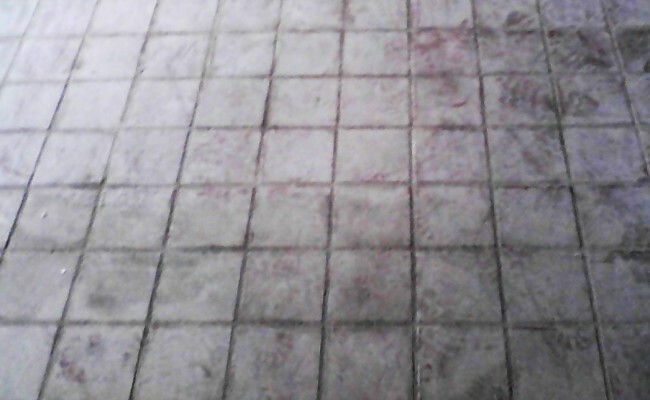 We successfully removed better than 95% of deep grime, soildage adn stains. 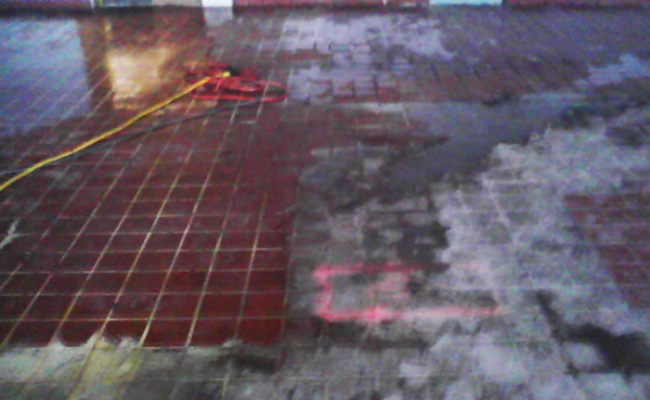 The application of a premium penetrating sealer, and care instructions, make the job complete. The kitchen floor often gest the most use, and abuse, as picture here. Note the many gouges and voids throughout which serve as a “catchall” for grime. Now, with the majority of voids filled and the stone properly sealed, it will be much easier to maintain the kitchen floor’s appearance. 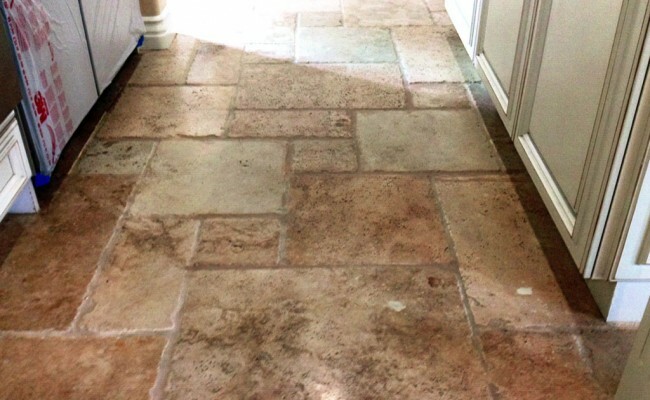 If you have a travertine floor that is in need of cleaning and sealing and you live in Yorba Linda or anywhere in Orange County please call us at for immediate assistance. 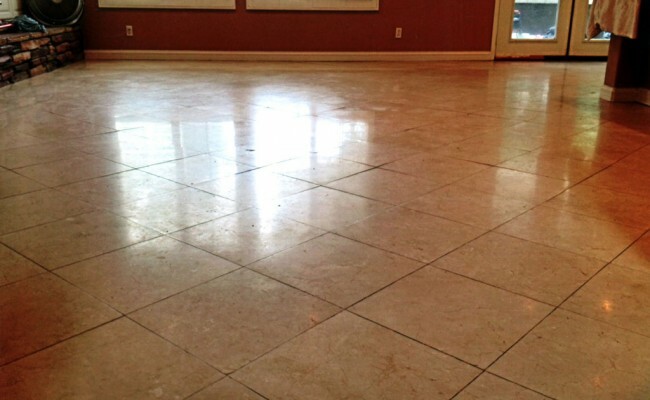 There are two sets of images from the Travertine Floor we cleaned and sealed with a Matte Finish in Laguna Niguel. 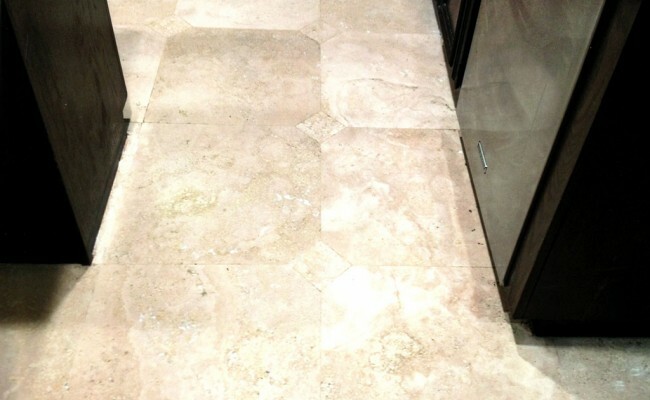 Travertine flooring has become a popular choice, but unfortunately requires regular maintenance to keep up appearances. The natural voids and indentations can trap soilage and deteriorate the stone as pictured here. What a difference a day makes! After four levels of cleaning and filling most voids we applied a premium penetrating sealer which left a matte (non-gloss) finish. The results were dramatic! 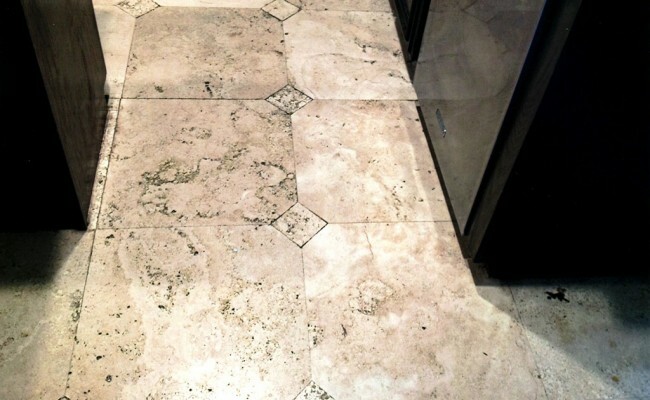 There is also a set of before and after picture of the travertine cleaning and sealing that we did in the kitchen as well. 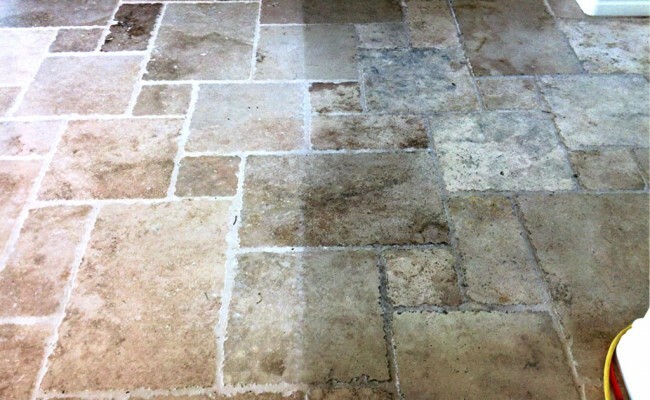 If you have a travertine floor that is in need of cleaning and sealing and you live in Laguna Niguel or anywhere in Orange County please call us at for immediate assistance.